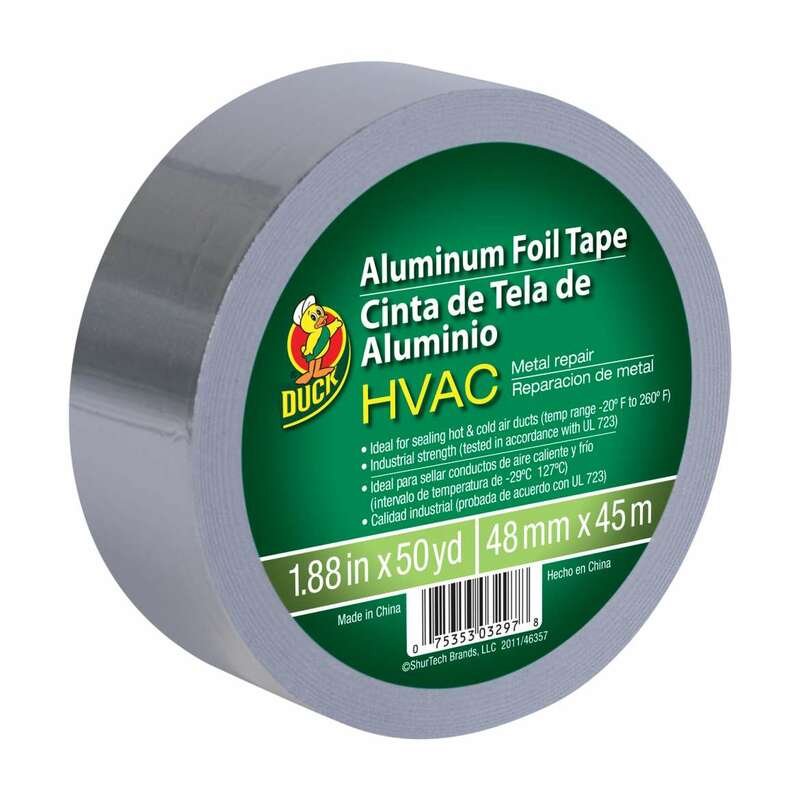 Home Products Paint & DIY Tapes HVAC Tapes Duck® Brand HVAC Metal Repair Aluminum Foil Tape - Silver, 1.88 in. x 50 yd. 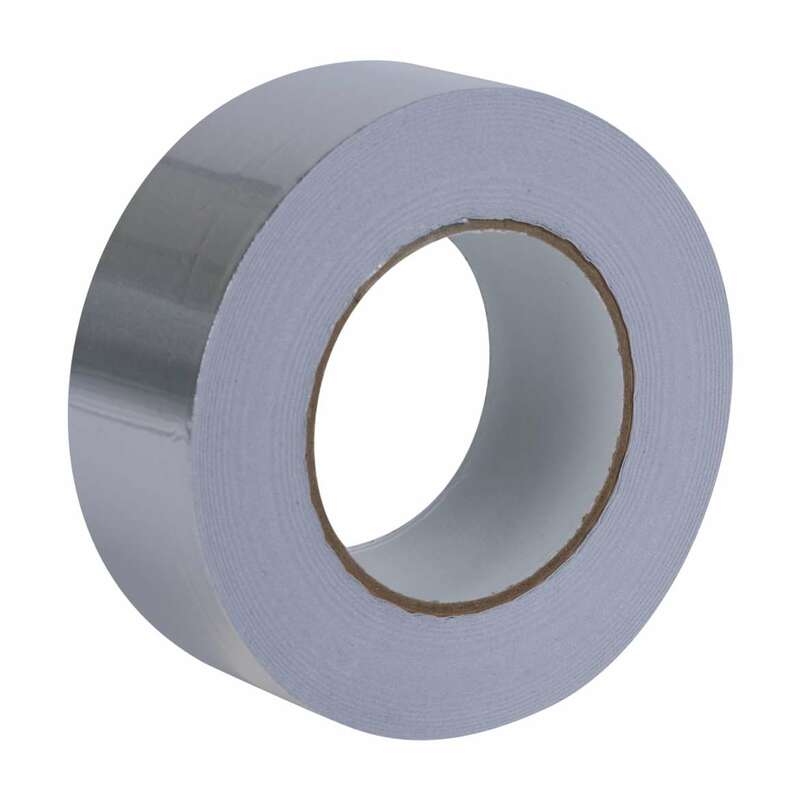 Duck® Brand HVAC Metal Repair Aluminum Foil Tape - Silver, 1.88 in. x 50 yd. 1.88 in. x 50 yd. 1.88 in. x 10 yd. 2.5 in. x 50 yd. Designed to code for HVAC installations and repairs, Duck® Brand Metalized HVAC Duct Tapes feature extreme performance adhesives formulated to work in a wide range of cold and hot temperatures. This duct tape is a waterproof solution that bonds to both flexible and rigid materials, meeting the needs of the professional contractor and homeowner alike. The chrome appearance also blends easily with ducting, air vents and other forced air components that need additional metal foil seals.